It’s a shame then that she’s let down by the very script itself, which — despite raising important questions about gender equality, financial independence of women, and parental obsession with marriage – fizzles out post-intermission. I’m going with two-and-a-half out of five for ‘Bobby Jasoos’. 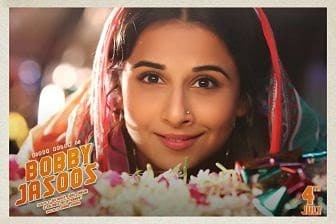 It needed more humor and more meat, but Vidya Balan comes out tops again. While much of the first half is devoted to constructing the suspense, the post-interval portions, sadly, do not live up to those lofty expectations. Sure, there are some absorbing moments and you do hope to get a shocker when the veil of suspense is finally lifted Sadly, what transpires makes you wonder, what was the chase all about? Furthermore, the film lacks the thrill quotient, which is so essential in a film like this. On the whole, BOBBY JASOOS has an interesting premise, but the writing plays the spoilsport. The saving grace and also the USP is Vidya Balan for sure, but is that enough to salvage the film? On the whole, Bobby Jasoos is not half as funny as it should’ve been, and it is also very unbelievable. It is different from the usual masala films alright but that is simply not enough to entertain the audience or to keep the producers and distributors in good spirits. Flop. Vidya runs away with Bobby Jasoos. She is both the film’s hero and heroine, performing with deft innocence, presenting Bobby like a breeze. There are slight drawbacks – the acting sometimes slips into sit-com mode while the second half relaxes where it could’ve been more taut. But quibbles aside, Bobby Jasoos is a clever and joyful film. Should you watch it? Elementary, my dear friend. Bobby Jasoos boils down to one of the worst climaxes I have ever watched. It is an end for the sake of an end, not because the story demands it to be so; and even though it is present, it does not serve its purpose. Bad songs, bad subplots, shabby direction make Bobby Jasoos a very, very confused film that is slightly better than a bearable watch only because of the strong heroine and the talented cast. Bobby might prove to be a good jasoos, but Bobby Jasoos has no clue about where it is going. Equally importantly, Bobby Jasoos isn’t the sort of flick that is willing to stoop to any level simply to inveigle average consumers of Bollywood kitsch. A two-hour caper film that thrives on restraint, Bobby Jasoos takes a serious turn in the second half but retains its warmth all the way through.It is consistently charming, if not particularly exhilarating, and benefits immensely from Balan’s energetic performance. 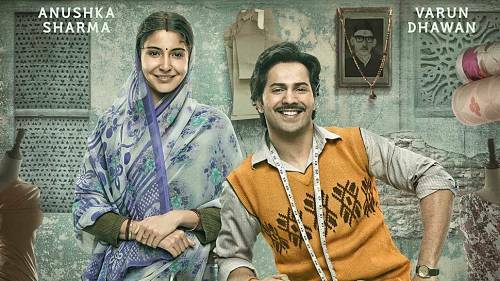 the leading lady and her fine supporting cast (especially Ali Fazal, who holds his own) is let down by the writing, which loses steam after the half-way mark, and becomes an improbable re-up of a Manmohan Desai-style lost-and-found saga. ‘Bobby Jasoos’ works till the time Vidya Balan gets to lead from the front: the courtship with her reluctant suitor is one of the high points of the film. But I wish this amiable, light-hearted yarn had more ‘zaika’ and ‘tadka’. And the songs are strictly unnecessary and uninteresting. Post-interval, the surprises leachout. So does the fun. The idea of Bobby Jasoos is good but the execution is not! The script is full of loopholes and is very predictable. Just when you feel the film is getting too long, there is a love song which is unnecessary. Music by Shantanu Moitra is strictly average. Bobby Jasoos could have been a winner but it lost track somewhere in between. ‘Bobby Jasoos’ is a fair attempt at doing something different, it fails to leave an impression because it’s unable to break-free from Bollywoocd stereotypes.For a movie that’s being pitched as the story of Bollywood’s first-ever woman detective, the basics appear unimportant. The investigation is cut short by Bollywood’s staple romance, a family drama and soundtracks, diluting the impact immensely. Despite the hype, ‘Bobby Jasoos’ just doesn’t make the cut. At least, not for us, especially since we cracked the case even before Bobby did. The movie, which begins on a promising but languid note as a thriller set in a vibrant metropolis such as Hyderabad, morphs into a reluctant love story. Bobby gets side-tracked and the climax scenes, which should ideally be a crackling clincher to the mystery, come across as an afterthought. The suspense to the drama was so lame that we felt bad for the feisty Bobby and Balan: both deserved a riveting, gripping ending.